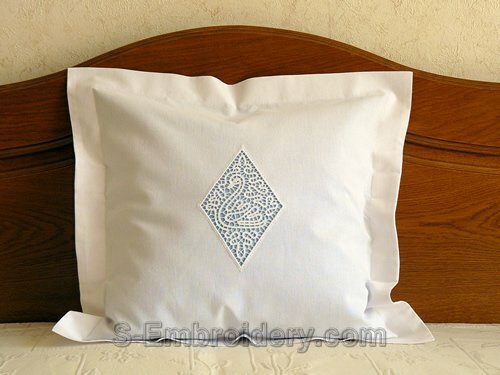 This cutwork lace machine embroidery design is available in 2 versions - with 2 colors and a single color. 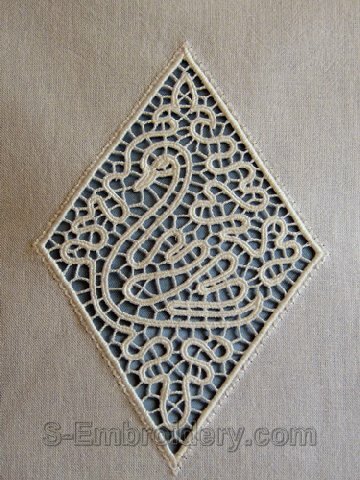 The lace swan would make a fine decoration for curtains, table cloth, table runners, pillow cases, etc. The design comes with instructions for adding cutwork lace decorations in PDF format.